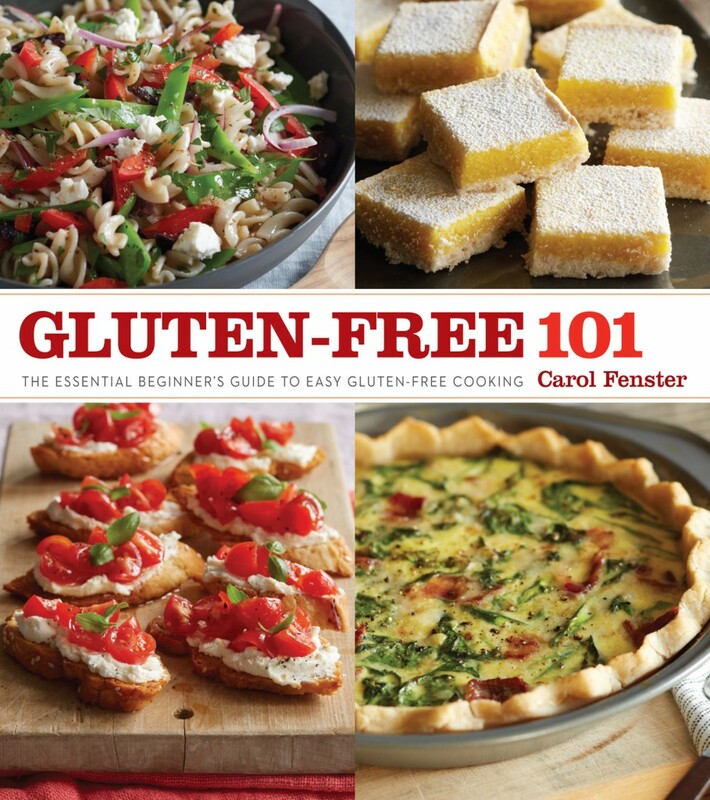 Carol Fenster began cooking gluten-free meals over 25 years ago. Back then, learning that she had to avoid wheat was quite a blow to her lifestyle and she didn’t know anyone else who avoided wheat. Her family didn’t understand how anyone could avoid wheat since her father raised wheat on their family farm in Nebraska and she married into a wheat-farming family. But she found solace in sweets, so one of the first recipes she converted to gluten-free was her mother’s chocolate cake that Carol ate throughout her childhood. Not surprisingly, that recipe found its way into Carol’s original Gluten-Free 101 cookbook. Now she could eat chocolate cake, just like everyone else. A few years ago Carol noticed that Red Velvet cupcakes were everywhere and, given her penchant for sweets, she vowed to develop her own gluten-free version. 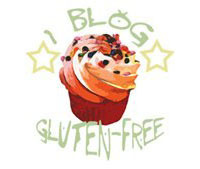 So, when Gluten-Free 101 was revised and expanded into the new Gluten-Free 101: The Essential Beginner’s Guide to Easy Gluten-Free Cooking (Houghton Mifflin Harcourt), she included it so everyone—especially beginners who want to eat the same foods as everyone else—could easily make it. So, here is the recipe.It makes a gorgeous little cupcake, dainty and flat—perfect for lots of icing on top. Enjoy! Now you can enjoy this wildly popular treat, just like everybody else. 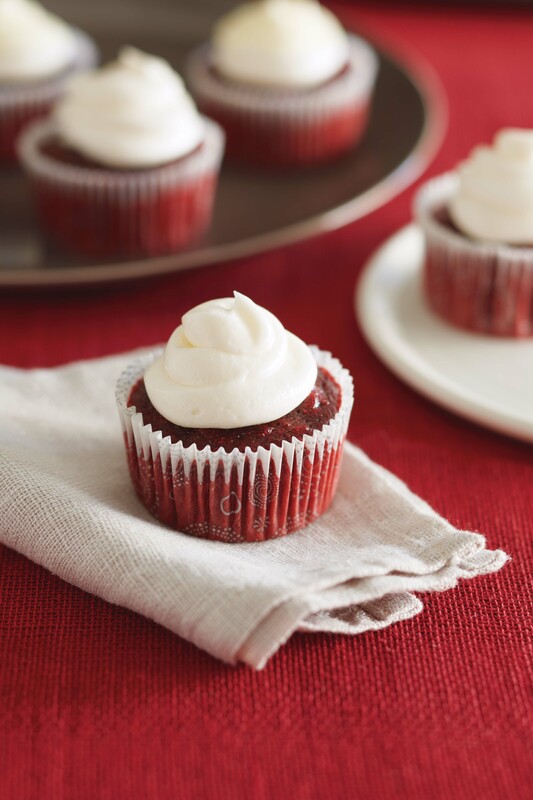 This recipe makes dainty little cupcakes with flat tops (easier to frost), and their brilliant red color is so inviting. Arrange them on a pedestal cake stand for maximum effect when serving your guests. In a small mixing bowl, whisk together the flour blend, cocoa, xanthan gum, baking soda, and salt until well blended. In a medium bowl, beat the sugar and butter with an electric mixer on low speed until well blended. Beat in the eggs, one at a time, until well blended. Add the vanilla and food coloring to the water. With the mixer on low speed, beat in one-third of the flour mixture at a time alternating with the water, beginning and ending with the flour mixture. Spoon [1/4] cup of the batter into each liner. Bake until the cupcakes are firm and a toothpick inserted into the center comes out clean, 25 to 30 minutes. Cool the cupcakes in the pan on a wire rack for 10 minutes. Transfer the cupcakes to the wire rack to cool completely. Frost and serve. In a medium bowl with an electric mixer on low speed, beat 3 ounces softened, reduced-fat cream cheese or cream cheese alternative, 2 cups powdered sugar, 2 tablespoons milk or water, and 1 teaspoon pure vanilla extract together until well blended and smooth. Whisk together and store, tightly covered, in a dark, dry, place. This entry was posted in Desserts, Reviews. Bookmark the permalink. Get rid of the RED DYE. Maybe try beet juice or beet pulp.